What is better than having a private hot tub? It would be having a spa housed in a beautiful and structurally sound enclosure. Well-built shelters can serve multiple functions. It can protect hot tubs from the heat of the sun or from hailstorm during winter. Imagine being able to soak in the tub even during the cold months and not having to worry about skin-damaging UV rays with a roof over you. Stylish enclosures can largely enhance the look of your in ground hot tub and transform your ordinary spa. There are many companies that design and build shelters where you can choose from a multitude of layouts and styles. Custom-made options are available so you can freely decide on the materials to be used and dictate the overall structure. Building your own hot tub is also possible with kits being sold online and through local stores. These do-it-yourself kits may just include all the parts that you need to get you to build your own hot tub in no time. Materials such as fasteners, nails, pre-cut wood and easy to assemble windows and doors may all come in the package. Setting up your own hot tub gazebo could entail a lot work but it could also be so much fun. Everyone at home would surely benefit from it when it is finished. What are important things that you must consider before purchasing a kit? Here are some very good pointers to help you get you started. Do your research. 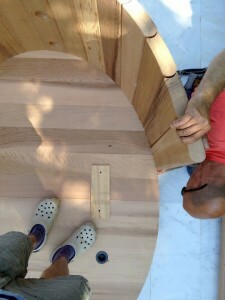 You may know a little bit of carpentry and you probably have assembled a coffee table before, but the big question for first timers really is how difficult is it to build your own hot tub enclosure? Is this more practical than calling a professional? How much is it? What is the best design and structure for you? In order to answer all these questions, you must spend time checking various websites and reading hot tub reviews. You can also talk to an expert who are usually found at authorized dealers. Skilled at carpentry? 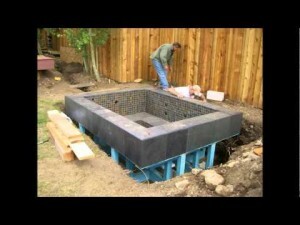 Or are you excited about a whole new challenge that is to make a hot tub housing from scratch? You may just skip buying kits and go straight to the building supplies to shop for materials and equipment. This may prove to be a cheaper option over buying kits provided that you have the necessary skills and basic tools. Get accurate measurements. Planning stage includes getting precise measurements of your portable hot tub and how much space you are allotting for its shelter. During this phase, decide on the shape, whether you want it square or rectangular. Will you be needing room inside for seats, table or a bar? 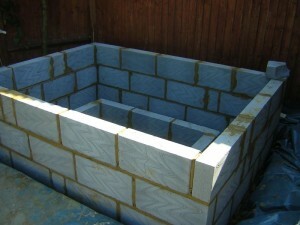 Solid foundation for your spa and enclosure. Conduct testing to check if existing foundation can withstand the weight of a new and heavy structure. Reinforce or construct a sturdier base as needed. The base for any diy hot tub housing must be strong, leveled and safe. Choose the right kind of wood. Using pressure treated wood, the kind commonly seen in a wood fired hot tub, can protect the enclosure from decay, termites and insects. Talk to lumber specialists and building supply staff to ask questions about the best type of lumber to use for construction. 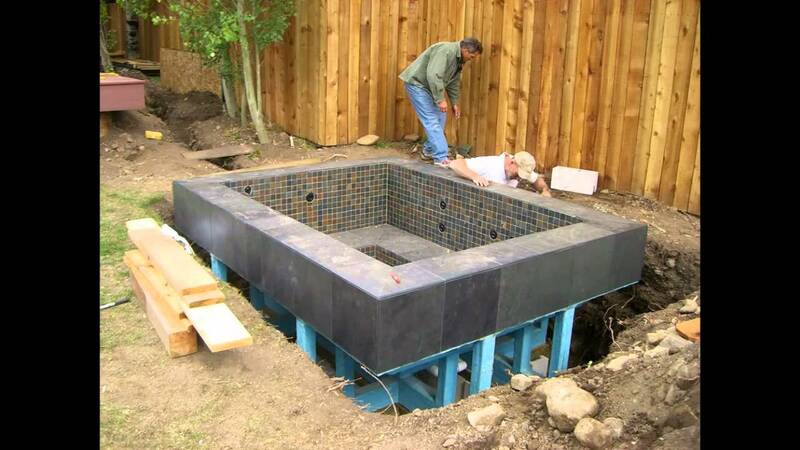 Keep in mind that in order to build your own hot tub that will not easily collapse and deteriorate, selecting the right materials, using proper tools and careful planning are vital. Incorporate thermal windows and doors. Consider adding multi-paned windows and doors to help with insulation and save on heating costs. These special windows can also shield against subzero temperatures and harsh UV rays so you make your own hot tub experience outdoors always delightful throughout the year. Depending on your knowledge and woodworking skills, this project can turn out to be a worthwhile activity, or a disaster and a waste of money when not carefully planned for. To succeed, map it out, study diagrams and hot tubs reviews, and do not forget to have fun as you build your own hot tub housing.